As a student, you go up and down preparing to start your university studies and looking for accommodation you may forget to consider what to do once you have the house. While the location, the rent, and the flat mates you have are important considerations, you must also consider having the right bed. The right bed alongside cheap accommodation in London can save you money as well as space. As the name suggests, this bed is meant for one person. It is the traditional student bed for a good reason — that it is space efficient. Regardless of the size of your room, the single bed can fit comfortably and allow you space for other items. There are even options on sale that are foldable making it even more convenient. A typical single bed measures 90 x 190cm. An additional benefit of this bed is that bedding will be easy to find and comes in a variety of styles as well as colours. The twin bed is an excellent option for the student who has found a flat mate they trust. In most cases, the term twin bed is used to refer to two beds placed in one room. However, in some cases, it is a size bigger than the single bed and is meant for two. Note that the size of the twin bed will vary based on location and the maker so you need to confirm before you can give away any money. Students who can share a room can also enjoy using bunk beds. Bunks will often have similar dimensions as the standard single bed. However, they are designed on top of each other. In some places, they are referred to as ‘double deck’ beds. Depending on where you buy them, they will have a small ladder that can help one get on the top bunk easily. Bunk beds are perfect for someone concerned about space efficiency. They allow you to have other fixtures like study desks. The double bed has become common for students in recent years. The standard measurements are 135 x 190 cm. This means that the bed can fit in a typical single room comfortably. 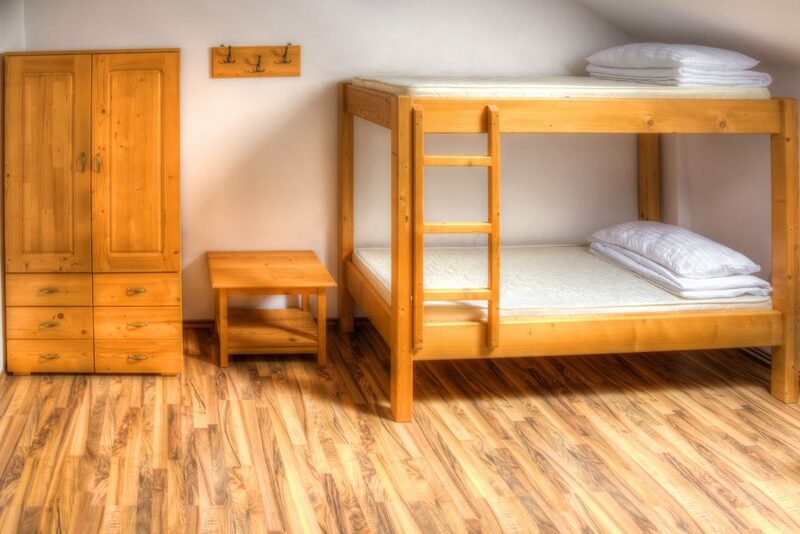 However, if your room is extraordinarily small, or if you want to have study desks and room to move about, you can go for a lower double bed whose dimensions tend to be 120 x 190 cm. In a nutshell, there are four factors to consider when buying a bed. Can you afford it? Will it fit in your space? Are you comfortable there and will it be in your space? If bed answers yes to the four questions, you can comfortably take it home.